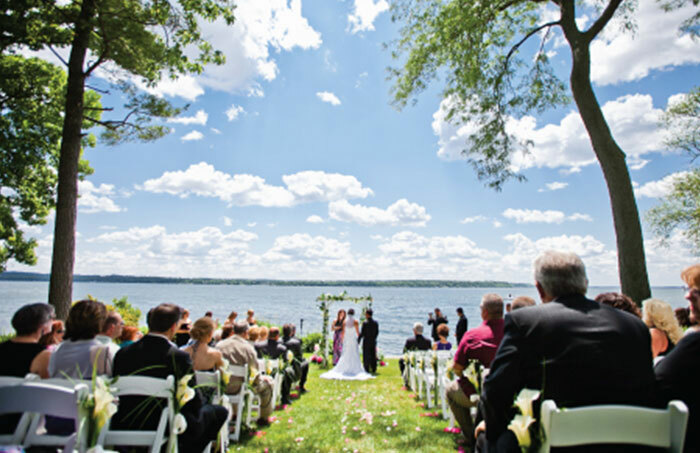 At Heidel House Resort & Spa, we believe one of our Wisconsin wedding venues will fit your wedding dream needs. Browse through our various on-site ceremony and reception locations to find which venue will best suit your taste. Floor plans are created to best fit your event. Thank you for your interest in our venue. Regretfully, we are anticipating property changes in 2019 and are unable to host weddings. 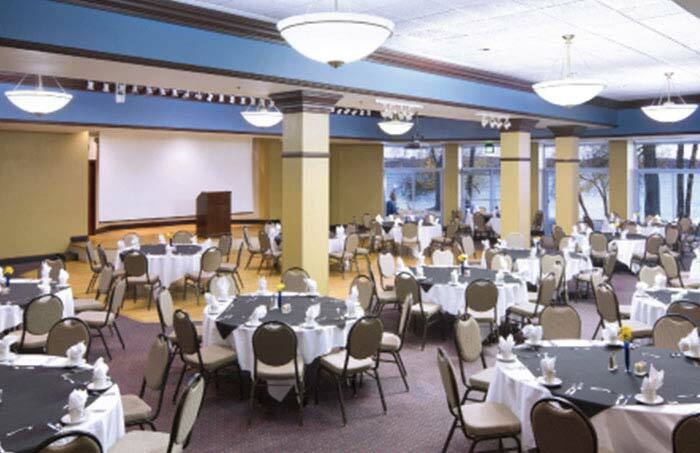 The Dartford Ballroom welcomes you with a magnificent view of Green Lake, sparkling brass chandeliers and a transitional ambiance. Its large lobby and veranda allows for plenty of room for your guests to mingle. 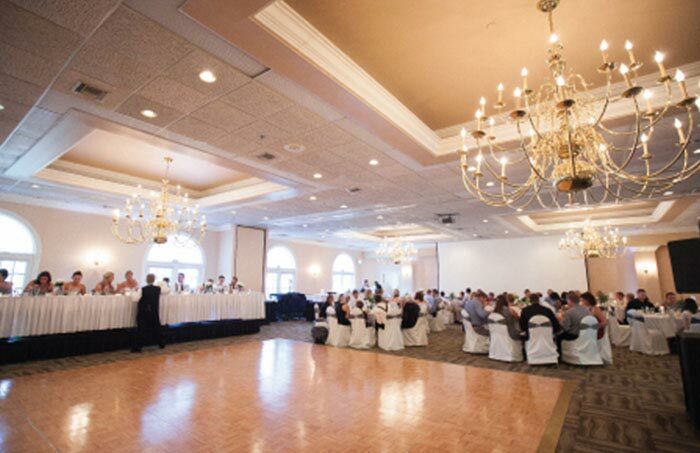 The ballroom seats up to 300 guests. Another wedding venue at Heidel House Resort, Sandstone seats up to 140 guests. It features a covered Veranda and is located ground level with a beautiful lake view of Big Green. 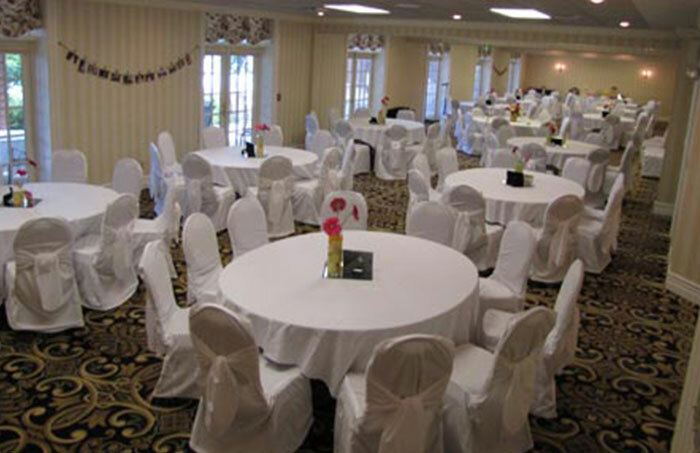 With seating for up to 180 guests, Daycholah is a wonderful venue to hold your Wisconsin rehearsal dinner, wedding ceremony or reception. Daycholah has a permanent dance floor and stage – a perfect setting for your DJ or band. This location also includes a lake view walk-out terrace. Say your vows on one of two Heidel House lawns overlooking the deep blues of Green Lake. The Grey Rock Lawn or East Lawn serve as an incredible backdrop for any ceremony with scenic shoreline and infinite skyline. Seating options are plentiful – the Grey Rock Lawn seats up to 300 and the East Lawn seat up to 200.